Knowing about your trailer or container and the company you’re hiring is key. Look at the condition. Cleanliness keeps your storage items safe from cross-contaminations from other freight and various invasive materials. Also, having a unit that is watertight will protect your freight from variations in the environment during storage or transport. Knowing your product or storage needs will secure the proper size trailer or container with the right company. Make sure that the company trucks are DOT certified. Any vehicle that is 10,000 pounds or more is considered a commercial vehicle and requires DOT compliance. Being DOT certified ensures the proper standards for transporting your freight. Companies should be monitoring their drivers closely through medical exams and background checks. Drivers should have a file containing a certificate of road test evaluation, moving violations and logged hours of time on the road. Depending on your freight, drivers sometimes need to be specially trained. So do your homework on drivers. A reputation is a craft that a company builds. Choose a company that cares about your needs as well as your items. Pay attention to their business practices. Are they clean? Precise? Easy to work with? Pay attention. If the company you are looking into works to uphold their reputation and maintain their name, they will likely do the same for your items. 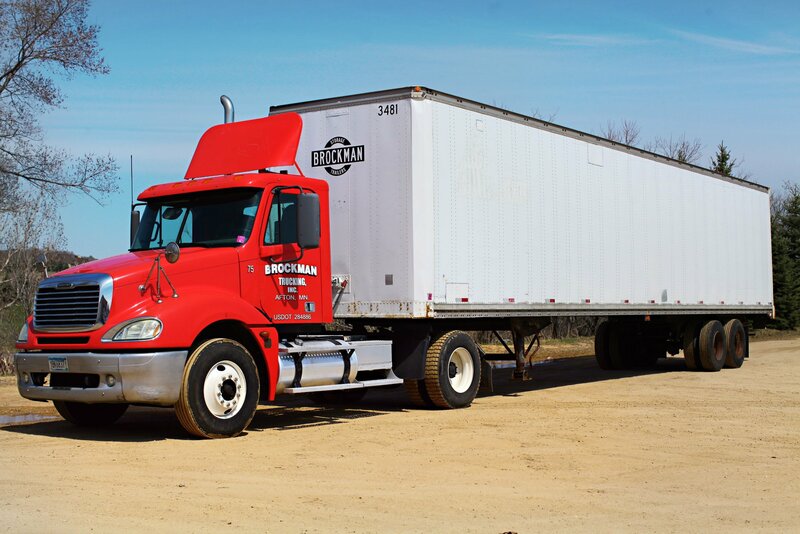 Brockman Trucking is a company you can trust to safely transport, secure, and store your freight.